Successfully saved Steak Bites with Garlic Butter to your Calendar. You can also save the ingredients to your Grocery List. 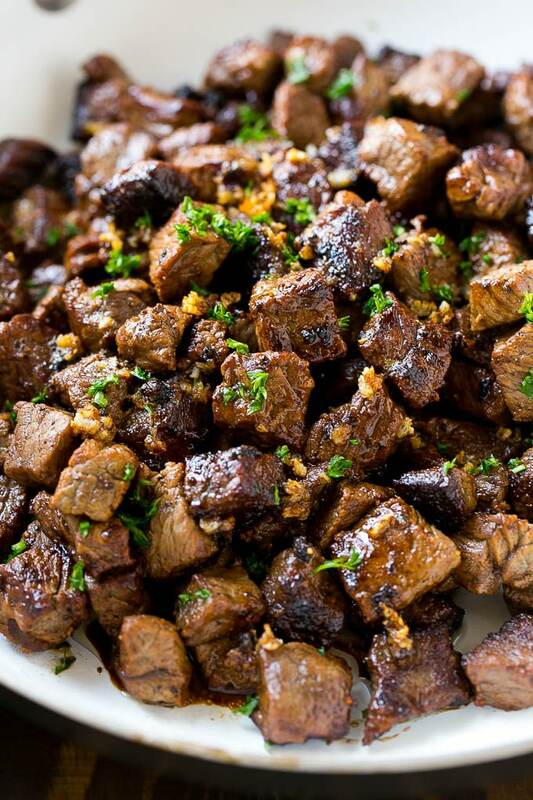 These seared steak bites are cubes of sirloin steak cooked to perfection in a garlic butter sauce. An easy meal or party snack that's ready in just minutes!